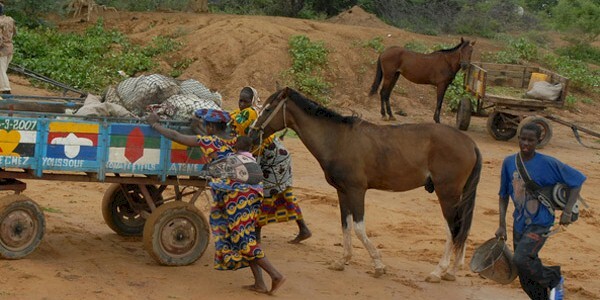 Bandiagara horses are a mid-sized, docile horse breed from Mali and Niger in Africa. They are a Barb type with fragile and lovely facial features. For the most part, this they are suited to the climatic harshness of the area. On average they stand between 14.3 to 15 hands high. Their neck is short and thick with an ample chest and shoulder. Their back is long with rounded croup. Their tail is low set. Their legs are think and sinewy. And their hooves are hard and small.